Our ‘A Day in the Life’ series highlights alumni in various fields and positions, offering a glimpse of what life after graduation is like. 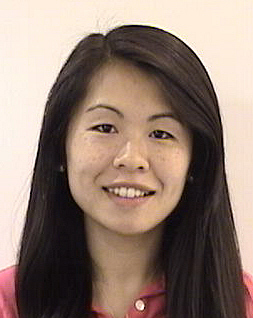 This post comes to us from M&T alumna Amy, currently pursuing a Master’s degree at MIT. Please briefly outline the school you attend and the program of study you are enrolled in. MIT Media Lab is an antidisciplinary research lab at the Massachusetts Institute of Technology focusing on disruptive technologies that combine the principles of science, art, engineering and design. The Media Lab is a pioneer in creating and expanding research areas such as wearable computing, tangible interfaces, city science, and data visualization. There are more than 25 research groups at the lab working on projects such as a foldable electric city car, personal robots, and programming interfaces for children. The Program in Media Arts and Sciences (MAS) offers a Master of Science as well as a Ph.D degree. In the first year of the Master’s program, students typically take courses related to their research area and begin to define their research focus. In the second year, you propose and complete your Master’s thesis, and can apply to continue within the Ph.D. program. What time did you get up this morning for classes? What time did you start the day working, and what time were you done for the day? What classes did you go to today? Since I’m in the second year of the Master’s program, I’m mainly focused on research and thesis work now. I’m listening in on a class in the Computer Science department on Advanced Topics in Data Processing. What were some of the papers/projects/assignments you worked on today? Today I’m working on preparing a presentation for my thesis proposal, as well as working on front-end development for the project that I am launching this fall semester. What’s your favorite class this term? This semester, my main focus is on my current research project, so I am only listening in on one class called “From ASCII to Answers: Advanced Topics in Data Processing”. I chose this class particularly because it surveys a wide variety of big data technologies that are very relevant for my research. The class is essentially a seminar that discusses various research papers related to data mining and distributed computing. I particularly enjoy the class sessions where the authors of the papers come in to discuss the technologies that they built (and in some cases, the companies that resulted from those technologies). Who specifically did you interact with today, besides fellow students (professors, an employer, researchers, etc.)? It varies highly from day to day – I have weekly meetings with my research group, as well as meetings with other students that I am collaborating with. Also, we regularly demo our work to visitors of the lab – recently, I met with the director of the innovation lab at one of the largest Italian telecom companies, as well as the governor of a South Korean county. Since every day is very different from the next, I would say that my favorite aspect of any day is when I have the opportunity to interact with other students, professors, or visitors of the lab to generate new ideas to incorporate into my research project or to think about potential collaboration opportunities. What are some of the challenges of your degree program that you enjoy? I would say that biggest challenge is the unstructured nature of the Media Lab environment and program – from the courses that you choose to the projects that you work on, students have a great deal of freedom in terms of shaping their experience at Media Lab. Different students from the lab will come from completely different backgrounds, and will have different stories to tell you about what they are working on at the Lab. The biggest challenge that I find is to be able to identify the opportunities that I want to focus on and invest in, since there are sometimes seemingly unlimited opportunities coming out of the lab. Ultimately, you realize that you have the responsibility for carving your path within the lab and defining your identity within this community of researchers, inventors, designers, scientists, artists, and entrepreneurs. After graduating from M&T, I first spent two years in New York in financial services, after which I moved to Boston for a research position at Harvard Business School. I realized after my experiences that I valued the intellectual freedom of research, and I wanted to be closer to the technology and working on projects that had the potential for impact within our current society. The Media Lab program creates the kind of opportunities to work with disruptive innovation and applied research that I was looking for from a graduate program. The interdisciplinary nature of the M&T program taught me to understand how to solve problems as an engineer, while also considering the broader implications of innovation and its impact on society as a whole. At the Media Lab, I use both parts of my M&T background to build and promote my research within the Lab, as well as within the broader academic community. Be purposeful in the opportunities that you pursue – especially if you have a longer term goal in mind, such as pursuing graduate education. However, don’t be be too narrowly focused such that you miss opportunities that present themselves in the periphery. Your path will be much more interesting and life changing if you take risks and explore along the way! Amy is currently pursuing a Master of Science in Media Arts and Sciences at the Media Lab at the Massachusetts Institute of Technology. She graduated from Penn and M&T in 2008 with a Bachelor of Science in Computer Science from Penn Engineering and a Bachelor of Economics from the Wharton School with concentrations in Finance and Operations and Information Management. One of Amy’s favorite books is Life of Pi and she enjoys hiking, running, cooking, and discovering new local restaurants. Wharton Sophomore Career Exploration: Nielsen and Google! Organizing PilotPhilly, a High School Hackathon at Penn!